HAUNTED BY HISTORY VOL. 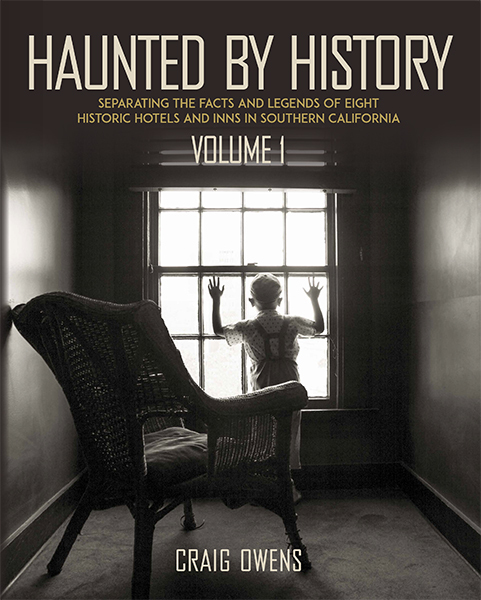 1 by paranormal researcher and photographer Craig Owens introduces long forgotten historical information about eight prominent hotels in Southern California and the origins behind many of their ghost stories. Not only does he separate facts from fiction, but Owens also keeps the subject matter interesting by staging elaborate Old Hollywood-style photos shot in the most haunted rooms, hallways, and lobbies. Sign up for the Bizarre Los Angeles newsletter and get 10% off Haunted by History’s $50 purchase price in our online store! — Brandon Alvis, founder of APRA and producer of the web-series Ephemera. Craig Owens is a Los Angeles based fine arts photographer with Hollywood experience. In the 1990s, he worked freelance in the film and television industry on productions such as Wag the Dog (1997) and The Gilmore Girls (2000-2001). He later worked for the International Cinematographers Guild, I.A.T.S.E. Local 600. As a writer, he contributed articles for the Century City View and wrote the History of Century City for the Century City Chamber of Commerce. In 2009, Craig began staging Old Hollywood-style photo shoots at haunted hotels. Little did he know that his love for haunted hotels would attract media attention. 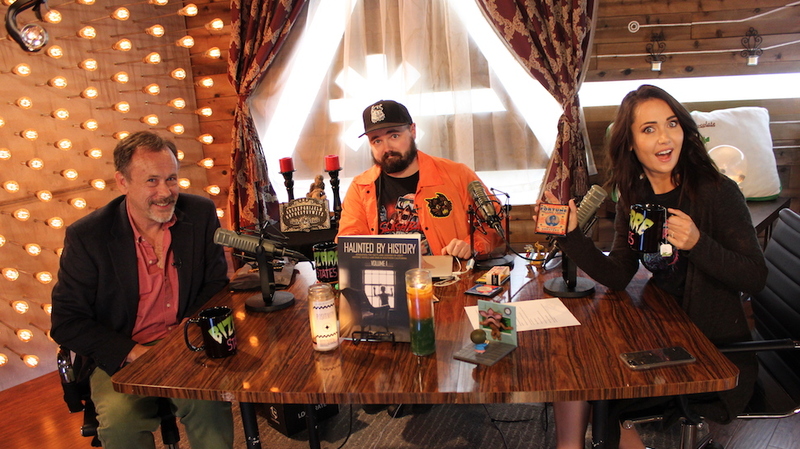 In 2013, he appeared on My Ghost Story: Caught on Film and the Nerdist podcast series, Bizarre States. He has also been featured in the online magazine, The Verge, as well as two books: Gourmet Ghosts 2 by James T. Bartlett and Ghostland: An American History in Haunted Places by Colin Dickey.